Looking for a individual health plan? Go online, compare and save on premium! Finding an individual health insurance policy is far from being difficult in India. The tough part is the selection of the right health policy. There is a myriad of insurance establishments available in India and many of these firms offer multiple insurance products. In addition to that, an increasing number of companies from life insurance sector are now coming up with their set of health schemes too. This makes the domain of health insurance in India even more competitive. To surpass the customer base of other companies each insurer have come up with lucrative schemes. This puts consumers in utter dilemma about the selection of right health plan. The best way to grab the best individual health plan is know your requirement. You need to determine the right coverage, right sum insured and most crucially the right time when you would actually need it. Approaching insurance companies and asking for policy quotes has been the conventional way of purchasing a policy for many years. But this process is highly time-consuming. It can easily take over a month to receive policy details and agents will be reluctant in responding to you simply because his commission rate will be less as you are buying a health plan. The fastest and easiest way of securing an individual health policy is from online resources. You can use the power of insurance comparison portals to good effects as these websites facilitate policy buyers with a single platform to compare policy quotes and attributes from a wide range of insurance firms and assist customers in selecting the best plan. Things to keep in mind while buying health plans online you shouldn't make the final decision on the basis of premium only. A health plan with lowest premium may not be the best plan for you. There is no perfect policy for all prospective policy buyers. A particular health plan that looks suitable to you may appear undesirable to someone else. Hence, your chosen health insurance plan must meet your criteria and the requirement of your family. It is better to select a health policy with maximum renewal age It is also wiser to go for a separate health policy even if your employer have provided you with one group health policy One should check out the exclusion part of the policy closely It is better to be honest when it comes to revealing history of previous illness. If you keep any such fact hidden you may miss out on certain claims or coverages that you deserve. Finally, it is better to close the deal with a health insurance provider instead of a life insurer. How does an insurance comparison portal function? When you land on the designated page of insurance comparison portals to perform comparison of health policies you need to submit your personal details such as name, age, contact number and the likes. Once you have submitted information about yourself you need to determine the tenure and sum insured amount of the health scheme you are looking for. Superior insurance comparison sites allows for flexibility while comparing policy rates. Buyers can opt for co-pay, add-on covers and riders if they want to. However, these are optional criteria and one can compare health plan quotes without having to opt for them. When you are done with divulging all the required details the insurance comparison portal will offer you multiple individual health insurance plans to choose from. You can compare features of these policies to cherry-pick the best health plan. Suppose you are 35 years old and need individual health insurance for a sum insured of Rs 5 lakh for a year. You don't want to opt for co-pay, add-on covers and riders and you have chosen 1 year tenure. There are 18 different policies on offer as per your criteria. The most effective way to find out the best health scheme from such an abundance of health policies is to arrange plans in ascending order in terms of premium amount and then apply the filtering parameters. Four most vital parameters are applied here to unearth the best health insurance scheme for an individual. This is the most significant criteria for choosing the best health plan. Policies that allow for maximum age for renewability of policies are preferable. The benefit of selecting a health policy with maximum renewal age is you have to seek for a new policy at an advanced age and pay lot higher for premium. Therefore, it is prudent to opt for a plan that you can renew till the maximum age limit or ideally for lifetime. All health insurers come with a time-bound restrictions when it comes to covering pre-existing ailments. The less the stipulated time period better for the consumers. So, you should look for a health policy that comes with minimum waiting period for pre-existing diseases. 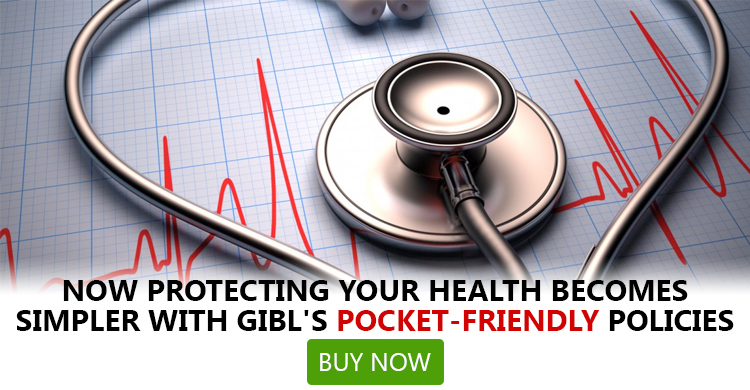 The main purpose behind availing a health policy is to stay covered from the medical expenses. If your medical costs are excluded from the coverage of your chosen policy the whole purpose of buying a health plan would be defeated. This is why you need to keep a close eye on exclusions. If you select a plan that covers your medical costs your claim will not be turned down. 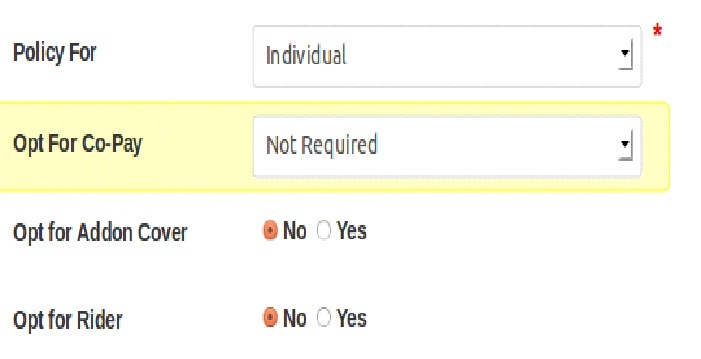 Most policies come with multiple sub-limits under the overall limit. For an example, there can be a sub-limit for hospital room rent of 1% of sum insured amount. If the coverage amount is Rs. 5 lakh the upper limit for room rent will be Rs. 5,000. If you live in a metro city and choose an eminent hospital for admission this limit might fal short of actual room rent. This is why you should look for a health plan without any sub limit. Table 2 – List of top 5 health policies as per the major criteria Here is a list of top 5 health plans after comparing all 18 policies in terms of above-mentioned criteria. Coverage for treatments under Ayurveda, Unani, Sidha and Homeopathy. You can select any plan from the above table as per your criteria and also budget. All 5 plans offer lifelong renewability and most of them impose 3 years waiting period. There is just one plan with 2 years waiting periodalso has no sub-limit in sum assured amount, but that policy doesn't offer any significant coverage. The premium for almost all policies hover in the range of Rs. 6,000 – Rs. 7,000 except the Medisure Classic health plan offered by L & T Insurance. This plan also provides policy buyers with extensive coverage. On the basis of al criteria, this plan looks best of the lot. Finally, the best individual health insurance policy should be a perfect combination of low premium, minimum waiting period, maximum renew ability along with wide coverage.